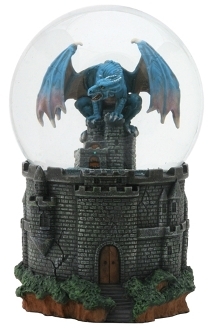 A tiny castle and dragon, enchanted into a water and snow filled orb. Hand painted acrylic resin. DIA: 4" x H: 6"